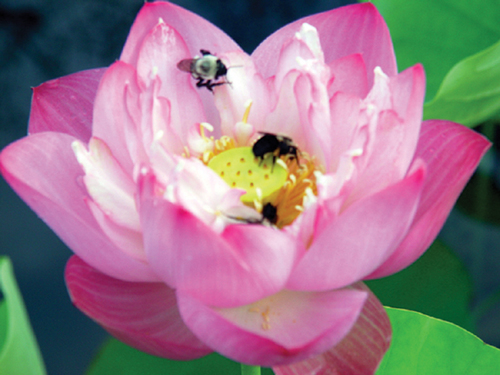 A full, deep pink-red double lotus. Free flowering, full size variety for medium to large ponds. 3 - 5' tall.